NewsTaco provides innovative and insightful news, critique, analysis and opinion from a Latino perspective in a 24-hour world. We value feedback from our readers, feel free to drop us a tip by emailing us at [email protected]. For advertising inquiries contact [email protected]. Gracias. NewsTaco sprang from — what else? — tacos. Carlos Guerra, Victor Landa, and Gilberto Ocañas commiserated that there was no place that provided Latino news and information in a way that totally satisfied them — like a taco that gives you everything you need in one bite. Since, we've worked to provide an authentic Latino point of view on NewsTaco with the feel of comfort food. Why we chose "Latino" over "Hispanic." Victor Landa, Founder, Editor.Worked for more than 30 years as a writer, journalist and community builder, mostly in TV news, at Univisión and Telemundo. He wrote opinion columns for the San Antonio Express-News for 20 years and did voter registration for SVREP. He is the owner of Palabrero Communications where he advises clients on media strategy, message crafting, storytelling and presentation/public speaking. Email him, [email protected], or catch him on Twitter, Facebook and read his work on NewsTaco. Gilberto S. Ocañas, Publisher, Founder A native Texan, Ocañas has been an entrepreneur, public policy strategist and a national political operative for over thirty years. Beginning as an organizer and rising to Director of Communications for Willie Velasquez and Southwest Voter Registration Project, he was a Latino pioneer serving in national senior level positions in four Presidential campaigns and later as CEO of a security printing company. He is now a Senior Advisor at Dentons, the worlds largest global law firm. He is also CEO of Ocañas Group LLC, where he advises companies on political and business strategy. He is a graduate of University of Houston and can be reached at [email protected]. Carlos Guerra, Founder. (1947 - 2010, QEPD)A seasoned writer and a founder of News Taco. He wrote for numerous publications before becoming the first Latino fulltime columnist in a major daily and the last in the nation to get a front-page column. A native of Robstown, Texas, he worked with the United Farm Workers and was a founder and leader of the Mexican American Youth Organization and Raza Unida Party.He graduated from what is now Texas A&M University at Kingsville and was a distinguished alumnus. For more about the Carlos Guerra Communication and Theatre Arts scholarship click here. Henry Flores - Henry Flores, PhD, is the Distinguished University Research Professor, Institute of Public Administration and Public Service; Director, Masters in Public Administration (MPA); Professor of International Relations and Political Science at St. Mary’s University. Ray Salazar - Since 1995, Ray has been an English teacher in the Chicago Public Schools. In 2003, Ray earned an M.A. in Writing, with distinction, from DePaul University. In 2009, he received National Board Certification. His writing aired on National Public Radio and Chicago Public Radio many times and have been published in the Chicago Tribune and CNN. For thirty years, Ray lived in Chicago’s 26th Street neighborhood. Today, he lives a little more south and a little more west in the city with his wife, son, and daughter. Sam Quiñones - Sam Quiñones has been a working reporter for 26 years, including 10 years in Mexico as a freelance writer. He is the author of two books, and many stories about immigrants, gangs, drug trafficking and more. He is currently at work on his third book: a narrative about the prescription pain pill and heroin epidemic across America today. Adán Medrano - Adán Medrano is a CIA Grad, Food Writer and author of Truly Texas Mexican: A Native Culinary Heritage In Recipes. Gabriela Lemus - Dr. Gabriela D. Lemus is the Executive Director & President of Progressive Congress. She tweets @progcongress. Jessica Priego - Jessica Priego is the founder and president of JPriego Communications (JPC), a boutique marketing, PR and advertising firm that specializes in the entertainment, sports and lifestyle arenas. She manages strategy development and implementation for clients including the Chicago White Sox, the United Center (home of the Chicago Bulls and Blackhawks), Fox Deportes, Arenas Entertainment and the National Council of La Raza. Eduardo Diaz - Eduardo Díaz is the director of the Smithsonian Latino Center and a 30-year veteran of arts administration. The Latino Center works to increase and enhance Latino presence, research and scholarship at the Smithsonian Institution by sponsoring, developing and promoting exhibitions, collections, research and public programs that focus on the Latino experience. Díaz is an advisor to the Smithsonian’s Secretary and Under Secretary for History, Art and Culture as well as to Congress and other government agencies on a range of cultural development issues related to Latino communities in the United States and their impact on diverse countries of origin. Brenda Storch - Brenda is a bilingual (English/Spanish) marketing and public relations professional experienced in developing and leading the strategy and execution of innovative, award-winning, campaigns for visible employers and their brands. Entrepreneurial, creative thinker who consistently uncovers and capitalizes on new opportunities to build brand awareness and promote business growth. Particularly interested in continuing to help visible, fast-paced clients penetrate the Hispanic market, while addressing a wide array of target constituencies. Juan Flores - For more than 30 years Juan H. Flores been engaged as Chicano health advocate, Administrator, Health Care Policy, Community Health Care, and Health Professions Development. He founded the Chicano Health Policy Development, Inc. (1978-1992) that served as a major catalyst for raising Latino/Chicano health concerns at the national and state level. Jose Gonzalez - Jose Gonzalez is the Founder/Director of Latino Outdoors. NewsTaco was conceived as a collaborative effort. NewsTaco was conceived as a collaborative effort. We’re not so much in competition with other Latino content sources as we are in cahoots with them. 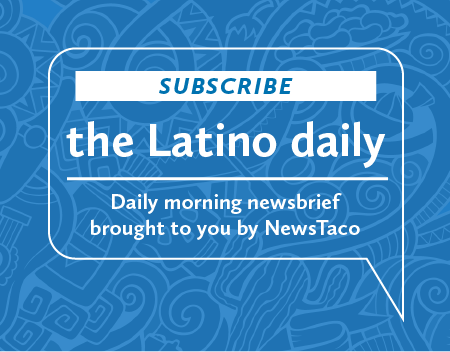 Call it a conspiracy, a joint effort, a frente informativo … Our intent is to bring our community a well curated, daily, serving of news, information, opinion, and analysis pertinent to U.S. Latinos. We’ve got many partners and the list grows. So check out our list of co-conspirators; it’s a hand-picked group of the best of the Latino web (if there is such a thing …).